Make a COMFORTABLE beanie for every head in your house! Follow the step-by-step instructions to create hats for the whole family! a 10-year-old can wear it (it’s slouchy) and so can I with a medium adult head. Make this beanie for every member of the family using their favourite colours, with different stripes or accents, using different yarns. The possibilities are endless! Using stitches you know already, a couple of ‘tricks’ help this beanie sit perfectly, every time!. Full written and pictorial instructions included so that you will successfully create the EasyFit Beanie for you and your loved ones. Choose single-color or variegated yarns to produce visually different results. 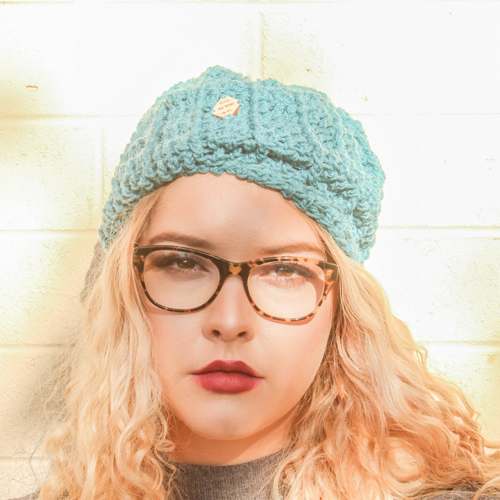 The EasyFit Beanie Crochet Pattern has been tested by independent crocheters (some of their amateur photos are in the gallery). I don’t like a tight beanie on my head, so after a few months of making other people’s beanie and hat patterns, I sat down and created this ‘EasyFit’ design. It uses all of the knowledge I had collected at the time, but puts my own spin on a beanie. I hope you enjoy making your own version(s) of what was my very first pattern! Some the pictured mitts are available to purchase, ready to ship or made to order, from my garment site, MadeforYOUbyFi.